Charles Worthington's June blog for HELLO! Online | HELLO! June 09, 2016 - 15:06 BST hellomagazine.com And perms are not just for women! Hi everyone Happy June – let’s hope it’s a sunny one! I spent Easter and much of May at my house in Mykonos in Greece and had to share with you some snaps from Scorpios beach, its pure heaven and they make the best fredo cappuccino and Aperol spritzer's while the DJ plays amazing sunset sounds...especially on Sneaky Sunday's! 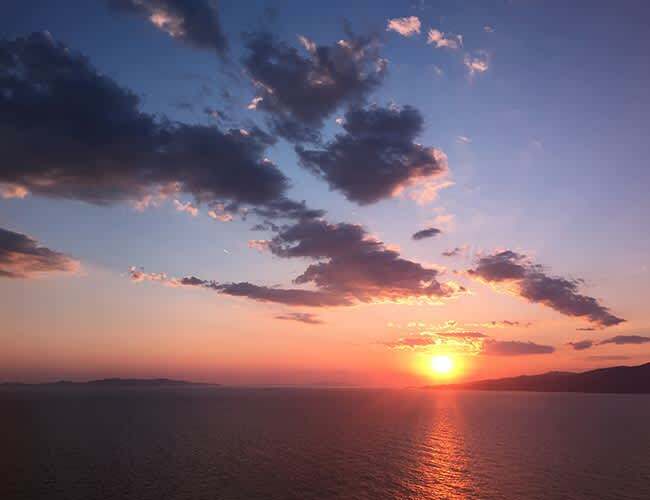 Charles Worthington has been spending a lot of time at his home in Mykonos - and we can see why! I would absolutely recommend for anyone planning a visit to Mykonos this summer. Back to London, in the salon we recently gave actress and model Gala Gordon a completely Charles Worthington makeover. 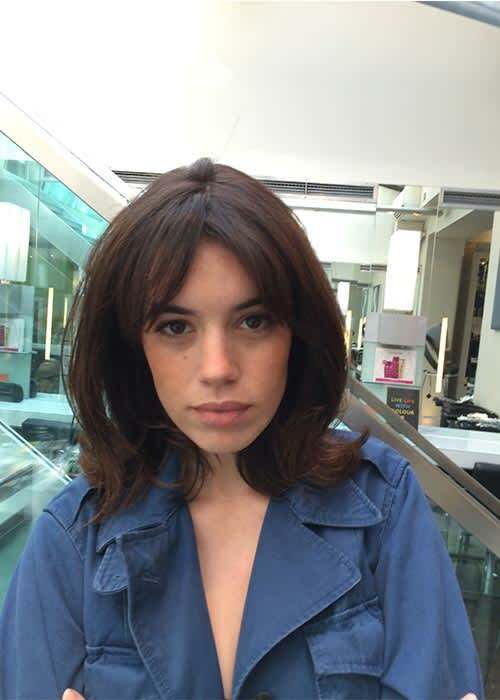 Mathew Soobroy (Charles Worthington Principle Stylist) coloured her hair using our new Lash Layering technique and also gave her a drape (Fringes are SO last year), doesn’t she look gorgeous? Mathew also gave actress Jodie Whittaker a complete colour makeover for filming of Series 3 of Broadchurch. Mathew pre coloured her blonde hair all over with a warm light brown semipermanent colour, which acts as an undercoat, then applied another all over colour. He chose a super natural cool tone brown to compliment Jodie’s skin tone, I think it’s amazing when an actress can be a complete chameleon and look fabulous both blonde and brunette. Now, has everyone seen the rise of the Perm? 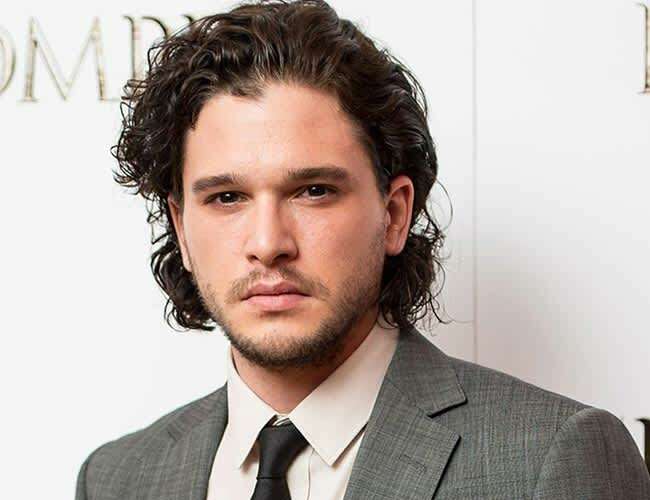 Kit Harrington, AKA Jon Snow in Game of Thrones, has started a huge new hair trend – the MAN PERM. Charles loves the man perm - what do you think? I personally love that we are seeing men embracing curly hair and could be seeing a return of the male perm. Our stylists in the salon have been doing perms on some of our male staff and younger clientele for a while now for those who are looking for the Dalston shaggy look and have definitely been getting more enquiries recently for male perming. More than often they have grown their hair long on the top and shorts on the side, but they don’t know what to do with it if its long, so they want little bit of movement – the male perm means they can either style it with product for a more controlled look or simply wash and spray with some sea salt spray for a messy beachy look. Another great thing about male perms is that men normally don’t colour their hair so most of them are suitable for perms (whereas if women have 30% bleach highlighted hair perms cannot be done). However, sometimes when men come in for a perm they actually need to have grown it more as a perm works better on longer hair with less short layers. A male perm only takes an hour, and will be done so that all the curls fall in the same direction (NOT like the crazy perms of the 80’s). Let’s not completely forget that curls for women are also having a major moment – I am so glad we created a huge curly hair look on digital influencer, Fleur de Force as part of our new BEAT collection. Charles Worthington perms on consultation only, go to www.charlesworthingtonsalons.c... or call 0207 831 5303 for more information or to book a consultation.